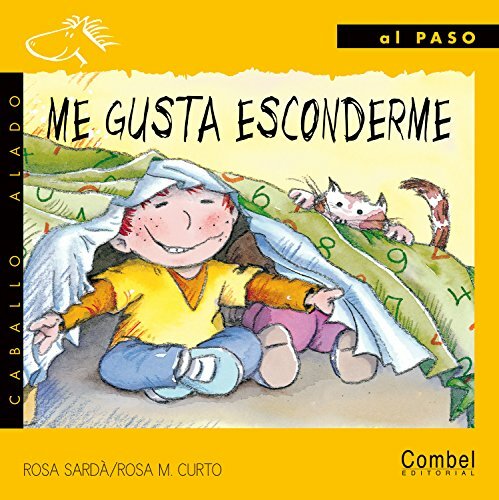 The books in the Caballo alado–Al paso series provide toddlers the opportunity to begin recognizing letters. In these picture books, little boys and girls humorously relate what they like to do best. Los libros en la serie Caballo alado–al paso les dan a los lectores jóvenes la oportunidad de reconocer las letras. En estos libros ilustrados, niños y niñas cuentan con mucha gracia lo que más les gusta. Rosa Sardà is an author of children’s books. Rosa M. Curto is an illustrator of children’s books and textbooks who has also collaborated on advertising campaigns and animations. They are coauthors of Me gusta ensuciarme/I Like Getting Dirty.